Hello again all you journalists and other media folk. This photograph provides a complete chemical explanation for the Turin Shroud imprinted body image! (Think white flour imprinting of a body onto wet linen, think applied heat, think bread crust image!). | Is the Shroud of Turin really some kind of supernatural photographic 'selfie'? ← Part 2 for journalists: Can anything you have previously relayed in the mass media regarding the allegedly “supernatural” Turin Shroud, even from Italian government scientists, ever be taken on trust, given the paucity of hard facts, given the underlying agenda ? Brace yourselves, all you deniers of the radiocarbon dating, all you proponents of supernatural photography via “resurrectional incandescence”. Main finding: both the bread roll on the left AND the heat-treated flour imprint from the plastic toy have turned pristine white in the places where domestic bleach was added! See the bleached areas indicated by red arrows! Relevance to the Turin Shroud and its ‘enigmatic’ allegedly science-defying body image? (b) my model imprints off 3D-figurines ( as well as my own hand and face) using my ‘Model 10’ flour-imprinting procedure. The latter was published here and elsewhere (notably the Dan Porter site) in 2015, but has since been totally ignored these last two years and more by the largely pro-authenticity Shroud-research ‘establishment’ with more than its fair share of cliquish self-styled academics and scientists. Now there’s a surprise! The imprinted linen you see above has now been washed, dried, pressed briefly with a hot iron, re-photographed and labelled to show the parts that were exposed to the three chemical reagents. Note that bleaching, i.e. decolorisation, was confined to the parts of the flour imprint on the left that had been treated with commercial bleach (sodium hypochlorite, NaOCl). The parts in the centre (treated with strong , i.e. 35% approx sulphuric acid) and on the right (with strong alkali, sodium hydroxide, NaOH) remained essentially unbleached. (Caveat: don’t be deceived into thinking that the acid in the centre has bleached. It hasn’t. The white area is simply the initially image-free gap between arm and torso of the figurine. If the acid had bleached the ‘subject’ would be missing his thumb – and more besides). This comparative pattern of behaviour matches that reported by Adler and Heller for surface image fibres stripped off the TS by STURP’s Raymond N Rogers in 1978. Whilst the above experiment does not of itself prove that the TS image fibres are chemically the same or very similar as the yellow or brown melanoidins in bread crust or my roasted flour imprints, it can surely be seen as constituting circumstantial evidence for that being the case. None of what appears will of course come as any surprise to those who accept the pro-authenticity, non-supernaturalistic model proposed by the late Raymond N Rogers (STURP’s chemistry team leader). Rogers was the first to identify propose that the Shroud body image as was a high molecular weight melanoidin, not on analytical grounds, for which there is and was essentially none, but on the basis of a narrative that pictures the process of image-formation starting with the release from the recently-deceased Jesus of post-mortem putrefaction gases or vapours, namely decomposition amines (general formula R-NH2, where R is a variable alkyl or aminoalkyl group). They were posited to interact with reducing sugars, formed, Rogers claimed, from a starch impurity coating on the linen, the latter having been employed he said as an aid to weaving in Roman times (with some somewhat anecdotal evidence for starch traces on the Shroud). It’s not the intention here to discuss the Rogers’ model in detail (which this investigator would do with no great enthusiasm). But it’s necessary to flag it up, if only because I was instantly accused on the Dan Porter site of having plagiarized Ray Rogers when finally abandoning a simple hot-metal scorch hypothesis (Model 2) and proposing white flour (arguably a close relative of starch) and melanoidin end-products as the explanation for the chromophore colour. Nope, I reject the charge of plagiarism, my having arrived at melanoidins via an entirely different route. That was through searching for a likely imprinting medium from which a medieval simulator of a 1st century sweat imprint might have generated a yellow chromophore via strong heating more easily and more controllably than by scorching the intrinsic carbohydrates of linen. In fact there are thermal mechanisms by which a flour imprint can turn yellow that do not involve Maillard (amino-carbonyl reactions) and melanoidin formation, notably by caramelization of free sugars without involvement of amines or other nitrogen compounds (though I have to say I consider the Maillard mechanism involving reaction between reducing sugars and amino side chains of proteins and peptides as being the more probable pathway). (Added note: I return to caramelization v Maillard chemistry again briefly at the end of this posting). It should be clear by now that the diagnostic test for medieval forgery, as distinct from 1st century provenance, cannot be melanoidins or even traces of flour or starch, even supposing they were to be present (almost certainly not in the case of flour). One’s first instinct is to propose that one seeks evidence of a thermal development step (forgery narrative). But that too cannot be relied upon. Why not? Answer: the 1532 fire that caused extensive burning and scorching. Who’s to say that any presumptive evidence for a high temperature exposure was not the result of the Chambery fire? Actually there is at least some circumstantial evidence for the thermal development from which 1532 can be definitely excluded – as flagged up here a short while ago – the so-called “L-shaped poker holes”. They are known (from the 1516 Lier copy) to predate the 1532 fire, so might well have been acquired when the Shroud imprint was being thermally developed. Future research direction? Need for new technology? As indicated in the posting immediately preceding this one (dated Nov 22) there is an urgent need for transverse sections of image fibres, both from the Turin Shroud and from flour imprint v alternative model systems. Why? Because the claim that the TS body image is highly, nay ultrasuperficial, on which so much starry-eyed speculation is based (with resort to those scorch-making uv-lasers etc to simulate conjectured ‘resurrectional incandescence’) really hasn’t been proved at all, at least not conclusively. In fact, it’s not just transverse sections that are needed. We need to start by teasing out linen fibres from threads, and then blasting open those individual fibres to reveal the closely-packed microfibrils within. Are the latter really free of image colour in the TS? Are they really immune from coloration in model systems where there’s initially an intact primary cell wall (PCW) separating the bunched microfibrils from the outside world? I shall be doing some experiments shortly with a view to getting a view inside the fibre. I’ll start in a modest way with freeze-thaw cycles (with threads pre-soaked in plain water or concentrated brine etc). I may even invest in an old fashioned pressure cooker, or mini popcorn-maker, with a view to creating an initial high pressure, temperature or both that is then suddenly reduced/released. (I once had a student vacation job at Quaker Oats, Southall, Middx., back in in the early 60s, making ‘Puffed Wheat’ (yes, it really is/was “shot from guns” – I had charge of 3 gun barrels!) so am maybe better informed than most on the physics of semi-explosive “puffing” technology! This is an experimental set-up (transparent firing chamber) that shows the principle of “puffing”. The hinged end-flap of the gun barrel has been suddenly opened at the end of the pressure-cooking cycle, whereupon the cooked wheat grains – all 14lbs per batch – flies out the end, puffing up as they do so! Might it be possible to get linen fibres (fibres, note, not threads) to puff up explosively so as to blast away that pesky PCW, exposing and separating the internal microfibrils for microscopic inspection, both transversely and longitudinally? Open-ended, open-minded research goes on where this blogger and this blogsite are concerned. 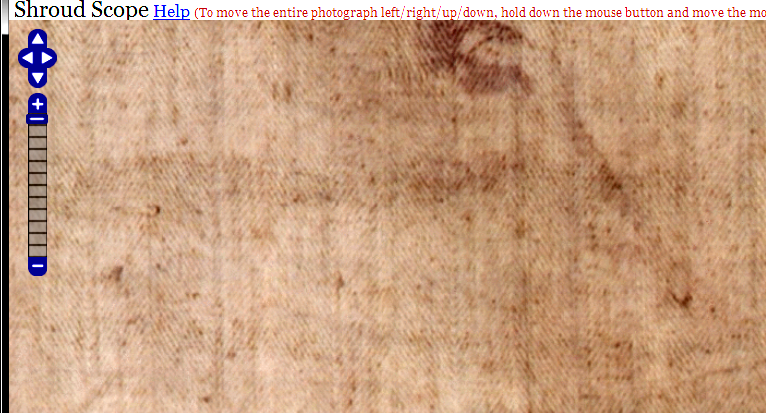 Message to those with closed minds, or fixated with one or other “instant, pulled from the air, non-modelled solution” to the Turin Shroud : kindly stay away (assuming you have not already been banned for persistent misuse/abuse of another’s website). Er, no, those so-called secrets do NOT continue to elude “science”. Those so-called secrets are gradually being revealed for what they are – hamfisted so-called “science” on the part of previous investigators, encumbered initially with duff hypotheses, and then proceeding to “see what they want to see”. The prime example right now is that which I see towards the end of John Heller’s 1983 book, describing the Shroud body image as “oxidized cellulose”. Whilst that’s a possibility which cannot be entirely ruled out, the evidence adduced for that, via testing of a series of reducing agents that each failed to discharge the colour of Shroud image fibres, ending finally with “success” when diimide, NH=NH, was employed, contains a serious error of chemical logic. Yes, diimide can and does bleach by hydrogenating -C=C- double bonds, and yes, hydrogenation is chemical reduction (addition of hydrogen). But that does not mean that the original colour was formed by oxidative processes. There are other means of introducing colour-conferring double bonds into a receptive compound that do NOT involve oxidation (notably via chemical DEHYDRATION which Heller indeed refers to in the same breath as oxidation). But those double bonds can be converted to non-colour conferring -C-C- single bonds by means other than hydrogenation , i.e. by so-called ADDITION reactions, hydrogenation being just one way of performing an addition reaction. Thus the ability of my domestic bleach, NaOCl, to decolorise the Model 10 flour imprints (probably by adding H/OCl across the double bond to form a chlorhydrin which is most definitely not chemical reduction). What a shame that Heller and his colleague (Alan Adler) did not test simple domestic bleach, best known as an OXIDISING AGENT, not a reducing agent like diimide! How much longer will certain sections of the media, duly picked up by search engines, be allowed to promulgate dud chemistry via taunting headlines that refer to the Shroud “eluding” science, when what is reported displays a glaring ignorance and/or misunderstanding of the most basic principles of chemistry, the elementary kind one picks up at pre-University entrance level? John Heller and his late in-house recruit to STURP (Alan Adler) were both gifted scientists, at least in their separate respective fields of expertise, Adler’s it has to be said being a branch of chemistry (porphyrins). But their chemistry as applied to the Shroud blood (that wacky “bilirubin”!) AND body image simply do not add up, far less stand up to close scrutiny. Yet it’s uncritically hoovered up by sindonologists and relayed to fellow true-believers AND the mass media as if gospel truth. That it ain’t. All too often, it’s complete cobblers, apologies for the Brit’ slang, if the truth be told. This site exists for one reason, and one reason only – to unearth the truth via patient, methodical scientific enquiry. If it involves knocking a few STURP and other ‘infallible’ greats off their pedestals, then so be it. I’m travelling at the moment, and won’t have much free time for the next 24 hours or so. However, I will be thinking about your request, and will try to respond soon, hopefully by Saturday. Yes, I think the Shroud of Turin is a 14th century forgery. What’s more, it was NOT intended to represent a burial shroud, contrary to the view of those who promote the Shroud’s authenticity, and who seek an explanation in terms of resurrection (flashes of radiation etc). I believe the Shroud was an attempt to produce a whole body version of the then celebrated ‘Veil of Veronica’. 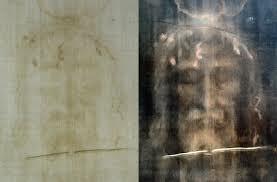 As such it merely attempted to simulate the imprint that might have been left on linen by the newly crucified Jesus immediately after removal from the cross. Just as the Veil of Veronica was supposed to represent the imprint left on a small piece of cloth by the face of Jesus on his way to the cross, the so-called Shroud of Turin was intended to represent the imprint left by the entire body in sweat and blood on Joseph of Arimathea’s linen on its way from cross to tomb. Referring to the linen as a “burial” shroud has been a great distraction in my view from the reality of what the linen was intended to represent, one that has allowed all kinds of wild speculation about the image capturing energy-release at the the moment of resurrection. Note how difficult it is to get across my ideas in a few simple words. Fine but vitally important distinctions have to be be made. Here are a few extra notes I did early this morning, before your second email arrived, which I trust answers at least some of your additional questions. (Let me know if you need specific detail, though I’ll be out most of the day). I’ve also attached a photo (as requested) taken just 30 minutes ago! 1. By far and away the most dominant narrative among those who promote authenticity is what might be called ‘resurrectional incandescence’ i.e. a blinding supernatural flash of radiation, or subatomic particles, or corona discharge etc etc. Regardless of which type, it’s accompanied needless to say by ‘photographic’ imaging (‘scorching’) of the incandescent body onto the cellulose of linen, the chromophore generally being assumed – wrongly in my view- to be chemically modified cellulose. 2. Still pro-authenticity, but a poor relation, is Raymond Rogers’ so-called naturalistic aka diffusion model, one that could be described as post mortem decompositional imaging, either in direct contact or at a distance ( volatile amines from the cadaver interact with linen, starch-coated in Rogers’ model according to 1st century practice, either again to deposit an image. The chromophore is the Rogers’ model (and my own Model 10!) are melanoidins, formed by Maillard reactions between amino groups and reducing sugars. 3. While both the above allow for some imprinting by direct contact, as indicated, they also invoke imprinting across air gaps. There is a third narrative, one that is dismissed out of hand by hardline pro-authenticity folk, namely imprinting by direct contact only. it comes in two variants – 1st century pro-authenticty versus 14th century ‘forgery’ (or as I prefer to say, modelling or simulation). . The first imagines that the crucified Jesus left a whole imprint in real sweat and blood on Joseph of Arimathea’s ‘fine linen’ en route between cross and tomb. It is essentially a post-mortem version of the Veil of Veronica, much celebrated and viewed at Avignon etc in the mid-14th century. One sees evidence in 16th century literature of Shroud custodians and viewers having adopted this interpretation of the faint body image as a sweat imprint (yellowed by centuries of ageing) to which modern-day sindonology displays a curious blind spot despite my efforts to bring it centre-stage). The second considers the Shroud to be a 14th century simulation/modelling of such a sweat/blood imprint. Was real sweat /blood used? Unlikely I consider in the case of sweat, or even artificial sweat- if LIQUID. Why? Liquids smudge – do not produce sharp well-defined images. Luigi Garlaschelli used solid powder frottage, proposing that acid impurities in the original frottage media chemically etched/discolored the linen. But I ruled out acid in one of my earlier pre-Model 10 ideas, and finally, in Model 10, proposed a different powdered SOLID – namely white wheaten flour – as imprinting medium, in conjunction with WET linen, pressed onto flour-dusted naked male volunteers. (Yes two of them lying head to head, one face up other face down), though a bas relief probably substituted for the ‘difficult’ face, as also suggested by LuigiG. The flour-imprinted linen was then exposed to radiant heat from a bed of glowing charcoal embers. Infrared rays absorbed by slightly coloured constituents of flour, e.g. flavins, bran particles etc , but mainly reflected by white linen, produced highly localised heating with formation of yellow /brown melanoidins (same chromophore note as Rogers’ model). Shroud blood (or should that be ‘blood?’) ? Not my speciality, but it can be worked into the model using either real blood, OR a non-clotting blood substitute e.g. digesta from medicinal leeches, OR artificial blood OR mixtures, with or without subsequent touching-up. 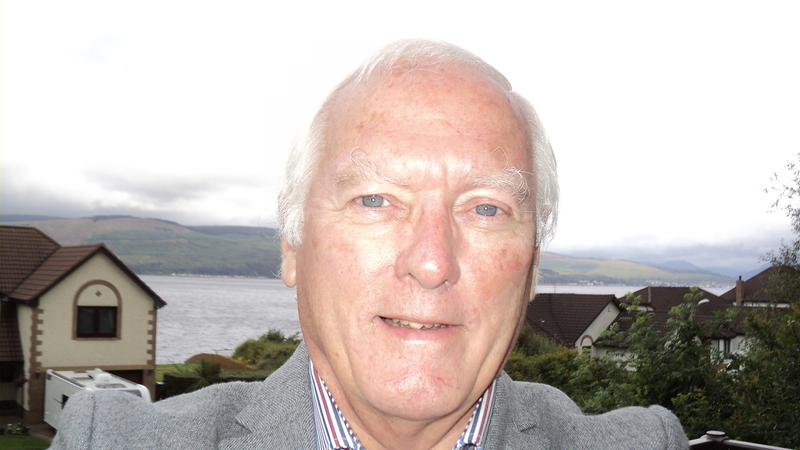 Better still, prepare yourselves for what is to follow by taking a look at this link, from which I’ll be quoting copiously. 3 Aug 2017 – Sceptics may dismiss the Turin Shroud, but there is good evidence the relic is authentic. “Sceptics”? What a ludicrous, self-serving term, making it seems as if authenticity was the default position! It’s the pro-authenticity position that flies in the face of the facts (which in the case of its much maligned radiocarbon dating may be disputed facts, but are still facts unless or until proved to be wrong). But what should replace it? How about ‘scientists’ ? 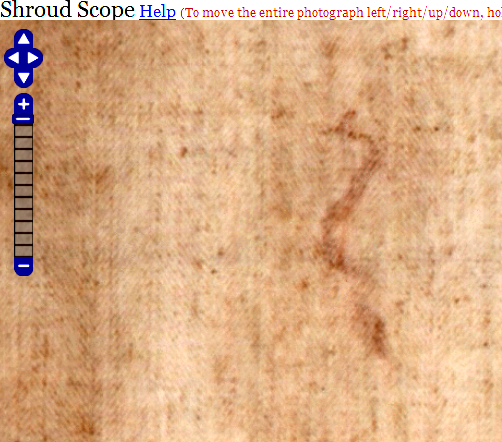 Scientists may dismiss the Turin Shroud, but there is good (?) evidence the relic (?) is authentic. As for that potential chemical quagmire as regards Maillard ve caramelization browning: I’ve decided not to pursue it at the moment (so Model 10 is safe, at least for now). Suffice it to say that the TS body image could be either a Maillard or caramelization product, the latter making it easier to explain the absence of excess nitrogen in TS image fibres. One could try modelling caramelization chemistry, e.g. substituting, say, fructose-rich honey for white flour, with a view to obtaining yellowing or browning of the imprint at a lower temperature. But a lot of the advantages of the solid imprinting medium would then be lost, like the vertical directionality introduced by sprinkling flour from above the subject. Comments (or questions) from journalists welcome. Oh, and scientists too (real scientists that is, if willing to be brief). Poseurs with their set-in-stone dogma and/or pseudoscience are requested to stay away. Might this fuming liquid element be the means of determining the chemical composition of the Shroud body image? See my own comment attached to this posting. See next posting for details of this likely ‘magic bullet’! I also have a separate specialist site, currently dormant, devoted to two other enduring mysteries, easily accessible – a mere two hour drive from home – namely Stonehenge and Silbury Hill. How could such an error have been allowed to creep into his official online 2018 Croatia/Bosnia & Herzegovina/Italy pilgrimage announcement? This entry was posted in Shroud of Turin, shroud of turin,, Uncategorized and tagged acid, alan adler, alkali, bleach, body image, bread crust, flour imprint, John Heller, Maillard browning, melanoidin. Bookmark the permalink. 8 Responses to Hello again all you journalists and other media folk. This photograph provides a complete chemical explanation for the Turin Shroud imprinted body image! (Think white flour imprinting of a body onto wet linen, think applied heat, think bread crust image!). But given my claim that most of the image chromophore in my Model 10 imprints (flour/oven-roasting/washing) is NOT restricted to the primary cell wall, but hidden away inside the secondary cell wall (based on what one sees and doesn’t see in cross-sections of threads and fibres under the microscope) I got to wondering if the alkali result might be providing at least circumstantial evidence for SCW entrapment of image chromophore. In keeping with my new policy of publishing no more detailed research findings (at least until sindonology, Dan Porter and his resurrected shroudstory site excepted, ceases to treat this retired scientist as a non-person) I shall just give a brief verbal update on alkali-testing, attached to this previous posting that gives visual clues. I again dripped the alkali reagent onto washed Model 10 imprints, somewhat faint yellowish brown in colour, and immediately obtained an intensely deep brown coloration, not seen with neighbouring non-imprinted linen. After a few hours I removed the linen, washed thoroughly under running water and then air-dried. The linen had reverted to its original faint brown coloration. This morning I added a second addition of alkali reagent. Result. Same dark brown colour! Interpretation: I suspect the colour change is due to reaction between solid ( microparticulate) melanoidins entrapped within the SCW. They can produce a colour change, reversible with washing, but cannot escape. Prediction: given I believe the Turin LInen chromophore also to be melanoidin in nature (as did Ray Rogers), formed I consider by my Model 10 flour-imprinting technology (or something very similar) then a prediction can be made. Take an image fibre from the Turin Linen. Place on a microscope slide. Add a drop of strong alkali. It will go dark brown. Then flush with plenty of water. Leave to dry. Most of the intense brown coloration will have gone. Then repeat the test a second time. The intense brown coloration will return. Maybe Adler and Heller did the above test. I must go back and scrutinize their published work. I do seem to recall them saying that the image colour was not bleached by either acid or alkali, but without any mention as to whether they saw intensification of colour with alkali or not. Apologies for the paucity of fresh input these last few days. Over the holiday period (and gloomy English weather) I’ve been spending time with the Puzzles section of my newspapers. I’ve returned to “Sudoku” after several years of absence, and been trying to understand why each day’s offerings in my Telegraph are differently tagged ( “moderate”, “tough”, diabolical” etc.). These are early days, but I think I’m now onto an answer (which I hope to report in due course on my sciencebuzz site). Sudoku can in principle yield to a totally logical approach, based on eliminating false answers, but providing, ONLY providing, one starts at the right point in the provided nest of nine 3X3 boxes of what’s offered . Start at the right (randomly) selected box, and logical reasoning may lead to a solution. But select the wrong place to start and one can hit a brick wall! I suspect there’s a way of showing why! Sudoku survives as a daily offering in my national newspapers, day after day, week after, week, based as it is on a mix of random and logical: Stand by folks for a long-overdue, balloon-popping suggestion (this blogger’s speciality) deflating not just the Shroud of Turin, Stonehenge and now Sudoku)! A suitably programmed computer could deliver a solution instantly, based on checking out ALL starting points, then progressing LOGICALLY! As I say, it’s a cunning mix of logic and randomness! Ring any bells? You know, like that polyfunctional Shroud of Turin “enigma”, the one which delivers different answers, depending on one’s powers of logical deduction AND what one chooses to take (scientifically or otherwise!) as one’s entry point! Thoughts have been crystallizing over the Christmas period as to how best to tackle in the New Year the continuing nonsense that is the ceaseless, churned-out pseudoscience that calls itself ‘sindonology’. Message to journalists to whom this site is now addressed – do PLEASE draw a line under your non-stop silly season-publicizing of authenticity-promoting sindonology. Start addressing real, relevant 21st century issues! The magic bullet, needed to identify the body image chromophore (or at any rate, get a handle on it) is, I suddenly realize (better late than never!) elemental bromine, Br2. I’ll put up a new posting early next week, in due course, setting out the details, and explaining for chemical novices why additions of bromine atoms to an existing molecule of unknown chemical structure are highly conducive to its mass spectrometric identification (when suspected, I hasten to add, of containing colour-conferring C=C double bonds). It’s called “tagging”… with a known, easily recognizable marker! PS (added Dec 19): Yes, second thoughts about delivery time! I’ve flagged up my considered approach to breaking the chemical impasse where the TS body image is concerned (and what a woeful one it is too, considering 40 years have passed since the STURP visit, and half or more of sindonology is referring to the body image as “oxidized cellulose” with scarcely a shred of chemical evidence, while the other half says that the TS image is a total mystery that has confounded science). Yes, elemental bromine coupled with pyrolysis mass spectrometry might well provide an answer as to what the body image is chemically – modified cellulose, sugar caramelization products, melanoidins from Maillard reactions between reducing sugars and proteins or other amino-donors etc, the one thing they all have in common being conjugated -C=C- double bonds that can be bleached not only by chemical reduction (Adler and Heller) but something those two co-opted STURP team members appear to have overlooked (i.e. addition reactions, notably with marker bromine). Barrie M.Schwortz’s STERA would never be this investigator’s first port of call for anything Shroud-related – for reasons stated before that don’t need repetition. Suffice it to say that I came across his Facebook site by accident this morning while searching for something else. There I found a valuable comment from David Goulet, posted Nov 22, who sadly no longer contributes comments this site (was it something I said David?). “This is nice, but it would be even more exciting if they would do another round of study a la STURP 2.0. Veneration is fine, but it truly is time to scientifically examine the relic again (using non-destructive methods only). But the major shortcoming of STURP was the dearth of hard chemical information, which was sadly all too predictable given the similar self-denying ordinance re “non-destructive testing”, with STURP’s chemical team leader (Ray Rogers) being content with his sticky tape samples, removing a few fibres only, with much accompanying ‘gunge’. So why should STURP Mk2 be any more likely to yield new insights if denied sufficient material for chemical analysis, or unwelcome sticky tape adhesive? Solution? None, while there’s still a widespread belief that the radiocarbon dating is wrong, that the Shroud is the genuine article. So first priority must be to be repeat the dating, and dismiss once and for all the notion that the corner sample taken was atypical of the whole, merely a medieval repair patch or panel etc etc. If the medieval dating is reproduced, as I personally have no doubt it will, then the TS ceases to be a religious relic, but still remains an item of exceptional scientific interest: how was that subtle body image generated so as to fool countless generations of investigators, 20th and 21st century especially, deploying the most modern of physical gadgetry? If the dating is confirmed then there’s a strong case for easing up on the embargo against destructive testing, and devising some crucial few tests, taking some more image fibres – which we know are both superficial and fragile, and can thus be removed (gentle abrasion?) without impairing the appearance of the underlying thread, except for loss of local coloration. So what critical test could be performed that could, and indeed probably WOULD provide fresh insights as to the chemical nature of the image chromophore (which I consider to be wheaten flour-derived high molecular weight melanoidins)? Watch this space. Here’s a clue to be getting on with. Think colour-conferring conjugated C=C double bonds which are susceptible not only to hydrogenation by Adler and Heller’s colour-bleaching diimide reagent, but presumably to a range of addition reactions also using alternative chemical reagents, chosen to facilitate identification by powerful analytical hardware (notably mass spectrometry). X and Y can be the same (e.g. X-X, Y-Y) or different! I know an X-X that would probably do the trick. Anyone care to hazard a guess as to what it might be? PS: The beauty (scientific beauty that is) of adding X-X across any double bonds, and then using mass spec’ to identify the X-containing fragments is this: it doesn’t matter whether one’s hypothesis is correct or not. Identifying those X-containing fragments will provide information on the original chromophore, regardless of whether one’s own ideas – or those of others – are correct. That’s the beauty of science – it reports back on what it sees – not what it wants to see. Then and only then do scientists (real ones that as) feel at liberty to speculate further, and then to make clear that’s what they are – mere speculations – not final “solutions” to be immediately fed to the media via polished press releases with the implicit take-away message – “look no further, problem neatly solved”. Beware those pseudo-scientific, agenda-driven solutions that fit the famous description: “neat, plausible and wrong”. 1. Imprinting by obligatory physical contact between subject and linen VERSUS ‘photographic’ imaging across air gaps. Beware arguments based on biased modelling (e.g. loosely draped linen, deliberate, i.e. non-accidental imprinting off sides of subject that result in distorted images used to dismiss imprinting-by-contact). Ask whether any favoured radiation model also involves imprinting of parts in physical contact. Expect to receive the answer “yes”. Then ask if imaging across air gaps via ‘photographic’ radiation as against imaging via physical contact are mutually exclusive or not. Expect the answer “no”. 2. Medieval (14th century) provenance – consistent with the (disputed) radiocarbon dating VERSUS 1st century AD (or CE as some prefer to call it) provenance. 3. If medieval: a simulated sweat/blood imprint onto either a pre-burial shroud (representing that of Joseph of Arimathea’s ‘fine linen’ supplied to the cross), whether subsequently to be used as burial shroud or not, VERSUS an intended burial shroud, whether used initially for cross-to-tomb transport or not. Do not allow references to a “burial shroud” as if that were the intended use of linen, whether 1st century or 14th century ‘reconstruction’. 4. If assuming the incorrectness of the radiocarbon dating (which must be stated) and proposing a 1st century scenario, imaging via naturalistic, non-supernatural processes, e.g. Rogers’ diffusion model involving, say, gases and vapours from body decomposition gradually creating yellow stains VERSUS supernatural processes, e.g. a flash of ‘resurrectional incandescence’ creating the body image via superficial scorching of linen fibres. (e) peculiar microscopic properties, like a hint of ‘half-tone’ effect, image discontinuities etc. (f) the ‘imprint’-like initial impression made by Shroud image on first-time viewers – via double body image, lack of sides etc). In short, don’t let self-styled so-called Shroud ‘experts’ bend you round their little fingers. Tell them that the time for selling their invariably selective and often tainted version of events is over. The general public has a right to be given BALANCED, not self-serving accounts.